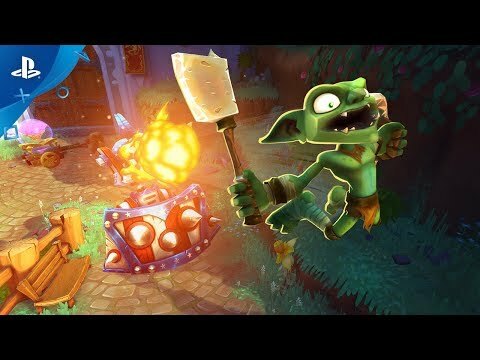 Dungeon Defenders II is an Action Tower Defense game with classic role playing elements like loot and leveling. 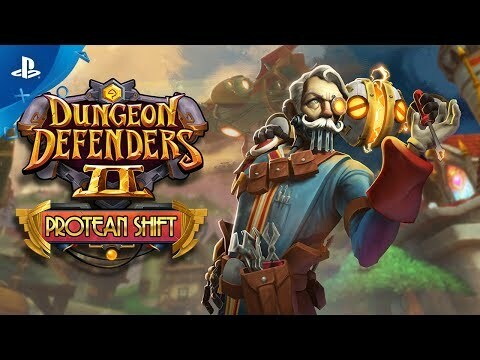 Dungeon Defenders II: Protean Shift is the latest free expansion that comes with a slew of new features. Dive into two new game modes, Adventures and Expeditions. Gain unique mods and powers to create custom builds. Trade your loot with friends and strangers alike and even host your own shop. Dungeon Defenders II is an Action Tower Defense game with classic role playing elements like loot and leveling. The Old Ones’ armies have invaded and it’s up to you and your friends to push them back. Level up a team of heroes and build the ultimate defense on your quest to save Etheria. The Old Ones’ armies have invaded Etheria and it’s up to you and your friends to push them back! Create a team of heroes to take into battle. Then freeze, burn, and electrocute enemies with your deadly defenses or jump into the action yourself to finish them off! Play by yourself or with up to three friends in 4-player online co-op. Need help on the battlefield? Fuse and upgrade your loot in The Tavern, then level up your Heroes’ Defenses and Abilities through hero-specific Specs! Action Tower Defense Gameplay - Assemble your defenses, then jump into the action yourself to take out the invading hordes! Classic Roleplaying Elements - Create a team of heroes to take into battle, level them up and customize their Defenses and Abilities. Tons of Loot - Build your hero the way you want with tons of epic loot. Elemental Combo System - Combo your Defenses, Abilities, and Loot together for devastating effects. 4-Player Online Co-Op - Play co-operatively online with your friends! Turbocharge your heroes by getting more currency, cosmetics and a special pet. This pack may only be purchased once per account. To redeem the items contained in the pack, visit and interact with the Mailbox in the Heroes Marketplace or Private Tavern. • 5 Mythical Defender Packs to gain any number of cosmetic rewards to look your best! © 2014–2018 Trendy Entertainment LLC. All rights reserved. Trendy Entertainment‚ the Trendy Entertainment logo‚ Dungeon Defenders II‚ and the Dungeon Defenders II logo are trademarks and/or registered trademarks of Trendy Entertainment Corporation. All other trademarks are property of their respective owners.